JW FunGuy wrote: Nice choice on the cot! I’ve got a Helinox High Cot that I love But they don’t make a canopy for it, I mostly use it in the cap of my truck but you can never have too much bug protection! How fun, a free shopping spree! you did well, too - you got the M3 of free-standing cots (possible title for your Moosejaw review) - mine will take a bit more assembling. I received the Gratis thermarest mesh cot XL - it's really cozy - liked it so much I cashed out the rest of my award gift certificate, reward points, and was still able to use my 20% coupon code - so I added the tent for $130. Never got a deal like this even from sierratradingpost at their best. I guess now I'm a Moosejaw customer for life. Nice thing about that is you can literally roll out of bed in the morning and go fishing! 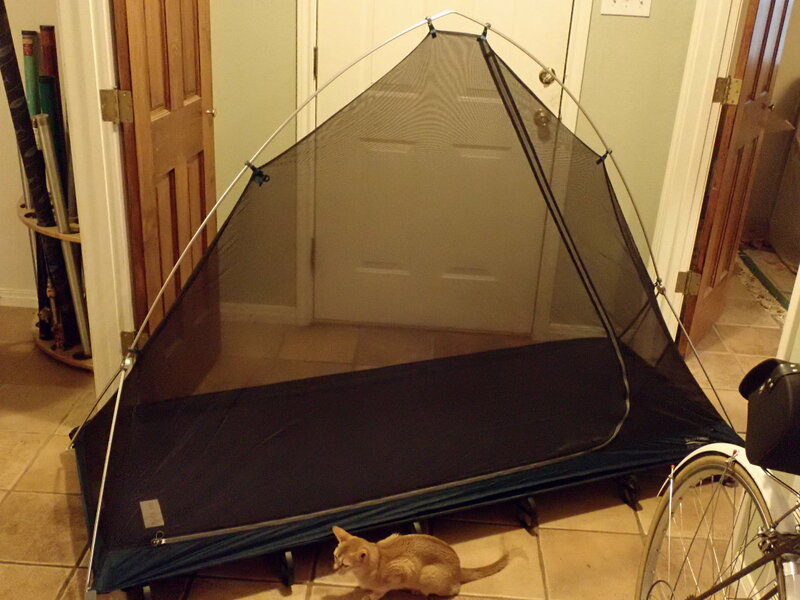 it's a cot with a bug screen and rain fly, and you can mix and match. Cot tent fits me exactly right - I'm 6'3", 210 lbs, 46L. The 4" narrower version wouldn't work at all. 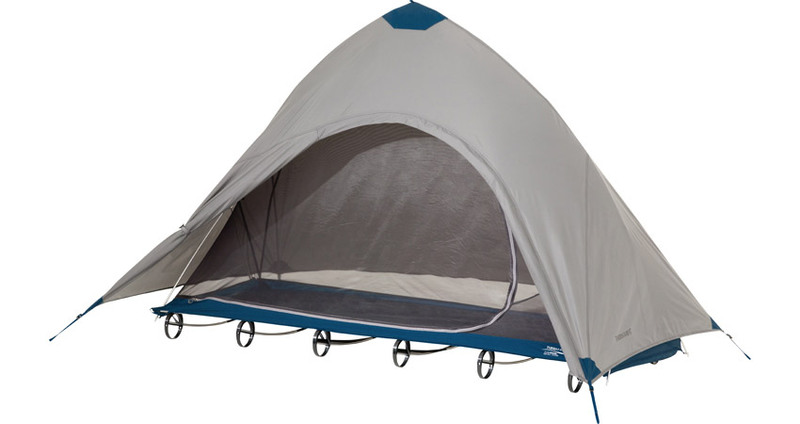 Nice the tent snugly fits the 30"-wide cot making tie-downs superfluous - same tent is sold for the 26" x 77" cot. You can also pick it up and carry it in this configuration. Cot takes awhile to put up and take down. Tent zings. As the OEM photo above shows, there's a rain fly with this. Each cot and tent packs to an 18"x6" burrito, though the tent and fly will squeeze to 2" smaller. If you're light enough to leave out 2 of the cot supports, could get both into 18"x6"
Looks good! Let’s go camp’n! If it ever gets a little nicer.